This article was published in October 2018. Please see Latest News for more recent information. Central Bedfordshire Council have a request for a Temporary Road Closure at the above location to facilitate pre-surface dressing to take place safely. The restrictions are to be in operation only when the necessary signs are erected on site. The Legal Order will be made to cover a 12 month period. If you have any observations you wish to make please let the Streetworks Team at Central Bedfordshire Council know as soon as possible. I would like to know when this work will commence. 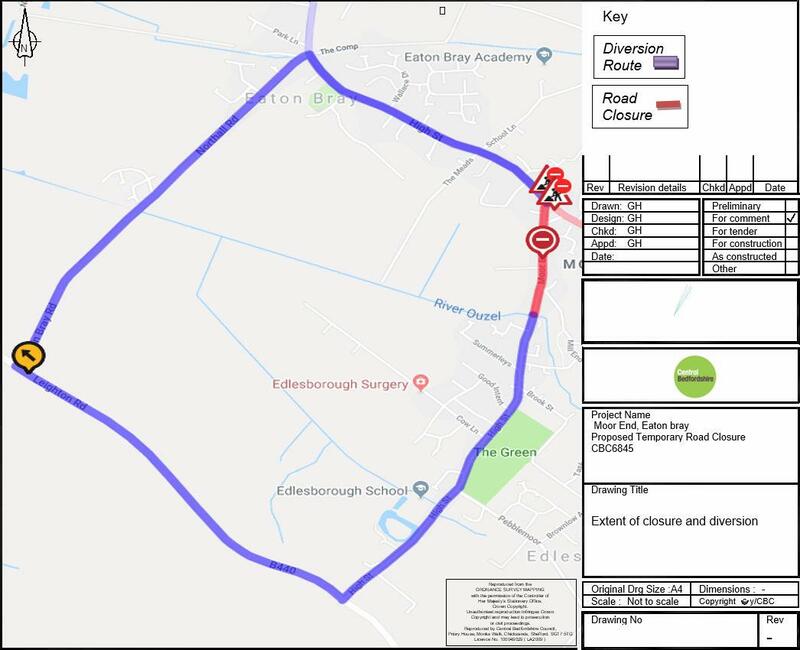 You are reading "Temporary Road Closure - Moor End, Eaton Bray - December 2018", an article posted on 11 October 2018, which appears in the categories Council, Road Closure.